Who doesn't love a panda teddy bear?! 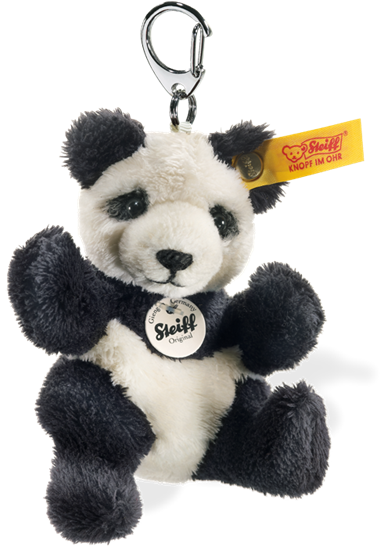 This little panda is a perfect companion who can be clipped onto a bag or onto keys to travel everywhere you go. Made from soft woven fur in black and white and bearing the famous yellow Steiff button in ear. The metal keyring is fully removable to allow machine washing.